Nutrition related medical conditions contribute to the 300,000 to 800,000 deaths in the US each year. That should get your attention even though you know the importance of good nutrition. There are more alarming developments in the area of nutrition. 1. An imbalance of healthy and unhealthy fats in our diets. 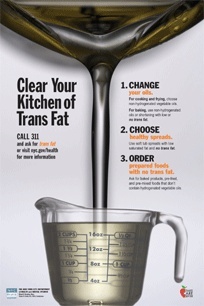 People eat too many bad fats: trans-fatty acids, saturated fats, and omega-6 fatty acids. And we eat too little omega-3 fatty acids – the good guys. Of particular concern here is the ratio of omega-6 fats to omega-3 fats. That imbalance is implicated in many disease states. 2. Consumption of too many processed foods to include processed grain foods, like cereals. 3. One you’ve heard a million times: eating too few veggies and fruits compared to decades ago. 4. Less lean meats and fish in the diet. You can make the argument that historical eating habits were less concerned with the amount of fat in meat. To balance that, people were more active and less sedentary in historical times. Foods did not contain the chemical potpourri that have come to be accepted, today. 5. Whole, natural, and fresh foods are healthier because they have all the nutrients you’re supposed to get. When you have less whole foods, including plant foods, then you’re not getting the critical micro-nutrients you need. Plant foods are the superfoods your body needs to stay healthy and run smoothly. Looking at the big picture here in the US, over 130 million people suffer from one major chronic disease. You probably know at least one person with either heart disease, diabetes, or cancer. The typical scenario includes multiple conditions, and over 65 million fall into that category. Another alarming fact is the average age of Americans with multiple medical conditions is decreasing. So don’t dismiss these numbers thinking that we’re just talking about “older folks.” If you’re under 45, then you are in the age group that represents roughly 50% of those with chronic disease. If you stay current with health news, then you may have some idea about the health of America’s children and teens. Approximately 15% (of the under 45 age group) are children with asthma, diabetes, cancer, and more. Of course there’s much you can do to improve your health and the health of your family if you have one. Superfoods have risen to high levels of awareness in both research and with consumers. We won’t go into vitamins and minerals here. Let’s talk about micronutrients and phytonutrients which are the components of superfoods along with vitamins and minerals. Anytime you see the term phytonutrients, just think about all the healthy factors in plant foods that are not vitamins or minerals. These factors keep you healthy, strong, and vibrant – they power the hundreds of chemical processes taking place in your body. Tens of thousands of phytonutrients exist in nature, if not more. Science and research will keep discovering them probably for decades. Here is just a small, partial list of how superfoods can benefit you and your loved ones. Soluble fiber, found in major categories of superfoods, helps keep your arteries free from plaque build-up. Many superfoods play a role in reducing and preventing obesity. Who knows the full extent of anti-aging properties found in superfoods. The effect adds-up over time. Phytonutrients help keep your vision healthy and clear. Some have direct benefits for preventing cataract formation. Many superfoods are involved with reducing risk of diabetes. Stroke prevention is high on the list of benefits. Keeping your immune system in top shape so your body can take care of itself. Millions of women have osteoporosis, and this condition can be responsive to superfoods. Cancer fighting properties are found in hundreds of these foods. Each of the benefits listed above represent specific foods commonly found and easily available. But it’s not like each food has only one specific benefit. That’s the beauty and power of superfoods. They all contain multiple healthy properties and all work together to bring you good health, energy, and life. This is not about a fad diet, and superfoods are delicious and tasty. It’s easy to start including these blockbuster nutritious foods in your daily diet. No need to do a complete life make-over in one day, either. Just add a little here, a little there, and you’ll feel and see the difference. Previous: Previous post: The GAPS Diet: Don’t Be a Victim to Your Digestion Anymore!